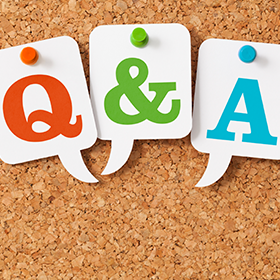 Q: Can I transfer real estate property held in a Solo 401(k) into my self-directed IRA? Suffer a hardship or experience another event specified in the plan. Distributions on the basis of hardship are not eligible for rollover. Q: What types of real estate investments are allowed in a self-directed IRA? Can one own a rental property outside of the country? A: There is no specific clause that defines what type of real estate can be held under an IRA. As long as there is no conflict of interest also known as a prohibited transaction, any piece of real estate can be held under an IRA. Better yet, even a property held out of the country. Q: I am a real estate broker and I would like to find out if my clients can have partial property ownership in their IRA? A: Partnering with other IRAs or individuals is allowed. Partnering with yourself is an industry accepted practice. Expenses and income must be proportionately divided based on ownership. Q: Can you use your self-directed IRA to buy part of a home in a partnership with your own regular funds? A: Partnering with yourself is an industry accepted practice. Expenses and income must be proportionately divided based on ownership. Q: Can I manage rental property in the account and find my own tenants? A: You may be able to. Howvwer, you may not be paid for that function. Q: Is there any way to use a self-directed IRA to invest in real estate for the purpose of earning money today? Or must all of the profits go back to the self-directed IRA? 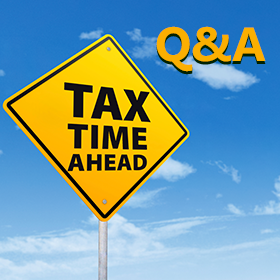 A: Although profits (rental income) must come back to the IRA, it may also be distributed at any time. However, it will be subject to tax and possible penalty. Q: Am I required to take out required minimum distributions, if so, how it will work? A: Traditional, SEP and SIMPLE IRAs are subject to required minimum distributions so the IRA holder must put into account a certain level of liquidity to satisfy the distribution, or else pay the 50% penalty. Q: Is the money from the investment only used to fund your IRA & repay the borrowed money? Is there a way to pull some of the cash flow to pay personal bills? A: Distributions from an IRA can be taken at any time. It will, however, be subject to tax and potential penalty. Q: Can I have my IRA fund my LLC, and then have the LLC own the property? If so, then can you live in it? A: Your IRA owned LLC does not make it allowable for the IRA holder to live in the property even if it's under an LLC. Q: Does the real estate have to be appraised yearly to establish reevaluation? A: Although it’s the most conservative way to determine the value of a real estate owned by an IRA, most custodians only require it for transaction that involves taxation. We encourage our readers to post any additional questions regarding self-directed IRAs in the comments section below so other readers may benefit from the answers. In addition, you can view the full recording of this webinar here to get answers to questions which are not listed in this article.